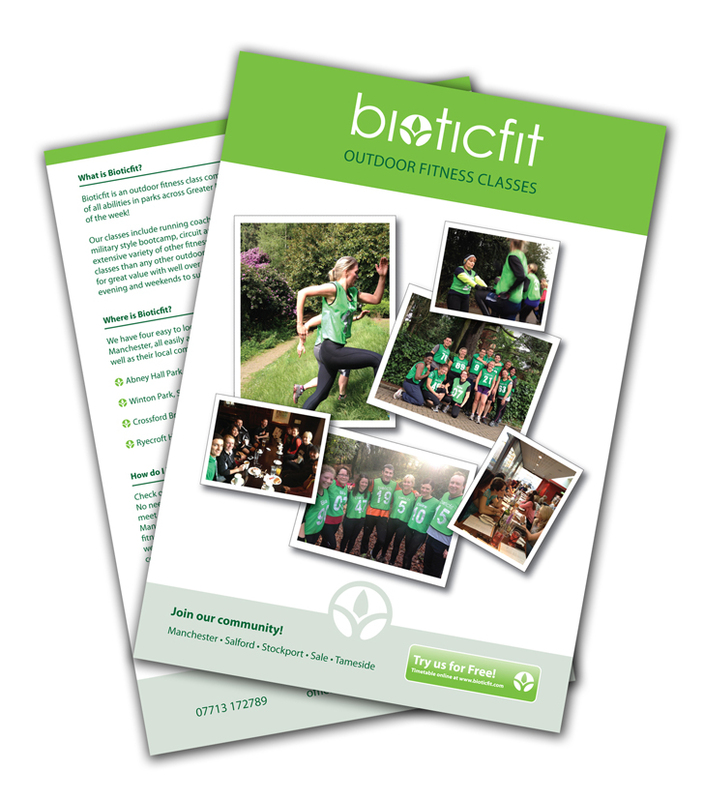 We’ve helped Cheshire based outdoor fitness business BioticFit on a few projects ranging from Leaflets to Business cards for their personal trainers. “I am not the easiest person to contact at the best of times. But in Dylan of AquaDesign, I had been recommended a tenacious, efficient and driven colleague in what I was hoping to achieve with the design and printing of my marketing materials. I don’t say colleague lightly, but it felt like we were really working together and because of this, I got exactly what I needed. Dylan was recommended to me some months before I started my new business venture, through a reliable friend/work associate who had had great experiences himself and himself had been recommended by others. But it was Dylan who contacted me first and it was his patience and understanding that led to what I hope will be a longterm symbiotic relationship between Bioticfit and AquaDesign. After only a short meeting, he was able to capture my vision of what I was hoping for and his proofs were issued promptly. It gave a great little catalogue to assess and I was able to pick and choose the goodies from each, for a final, high quality design. Not only was I impressed by this, his regular updates meant I did not have to worry or chase up whilst I focused on other areas of my business. And his quote was that of somebody looking to build longterm relationships particularly with local businesses, more than reasonable and a direct business reason why to return time and time again.